Welcome to the Ontario Tech University's Faculty of Social Science and Humanities (FSSH). I’m hoping that what attracted me to the faculty will be what attracts you, whether you are a prospective student shopping for a career-building university experience, a researcher looking for advanced expertise, or a community member interested in what is happening at our vibrant downtown campus location. So what attracted me to this unique faculty at this unique university? Well, I have a deep background in social and environmental justice and human rights issues, and this faculty pushes those themes forward like few others. There is a refreshing openness here about the fact that many of us advocate for progressive social policies we feel can make the world a more just, equitable, hospitable place. To be truly rewarding, a career must also be a vocation, reflecting a deep-rooted desire to improve things, and I think this is a guiding factor for our undergraduate and graduate students alike. This passion is also reflected in our teachers’ approach to their students, and the kindness of our staff and advising team. Another attraction is the high quality and integrity of the researchers in all of our main fields: Communication and Digital Media Studies, Criminology, Forensic Psychology, Legal Studies, and Political Science. This diverse yet interdisciplinary group of prolific scholars are well known for their policy-relevant, cutting-edge research in social science, helping to put our university on the global map while shaping their disciplines and public discourse in the process. Our excellent Criminology and Forensic Psychology graduate students also reflect this brilliance and dedication. ...and that’s a partial list! Community relations are strong in the Durham Region and beyond. 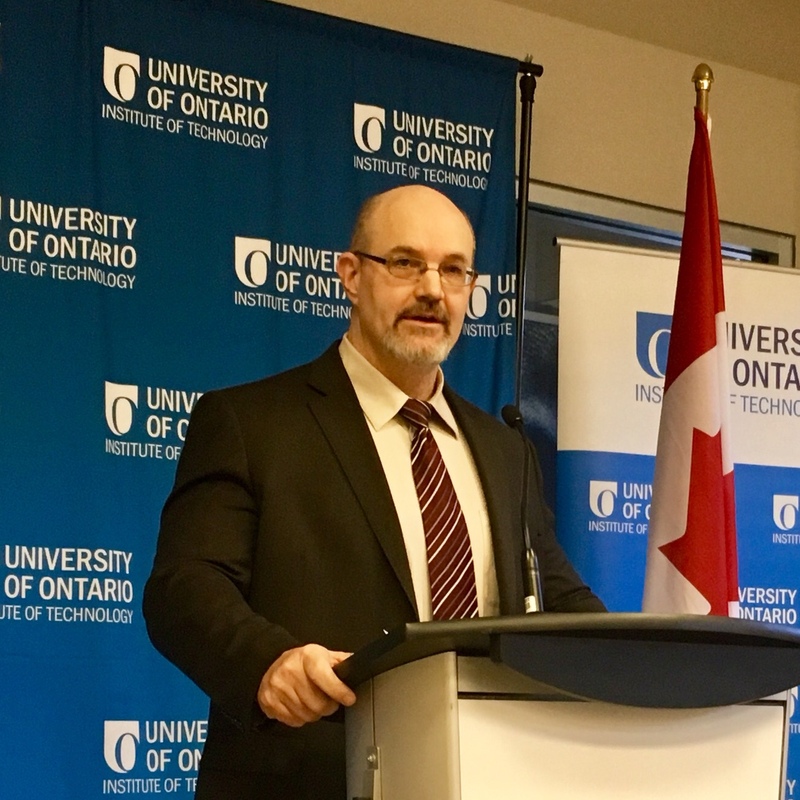 Many of our faculty members are heavily engaged in projects that connect them directly to local community groups, government departments and private companies in the Greater Toronto Area. If you are looking for experiential learning opportunities that will result in CV-enhancing placements in professions where you can make a difference, you’ve come to the right place. These are just a few reasons I’m pleased to be the Dean of FSSH at our university. Please peruse our website and contact us if you’d like more information about the interesting things happening here. I hope I will have the chance to watch you pursue your dreams in tandem with the growth of this progressive academic community!